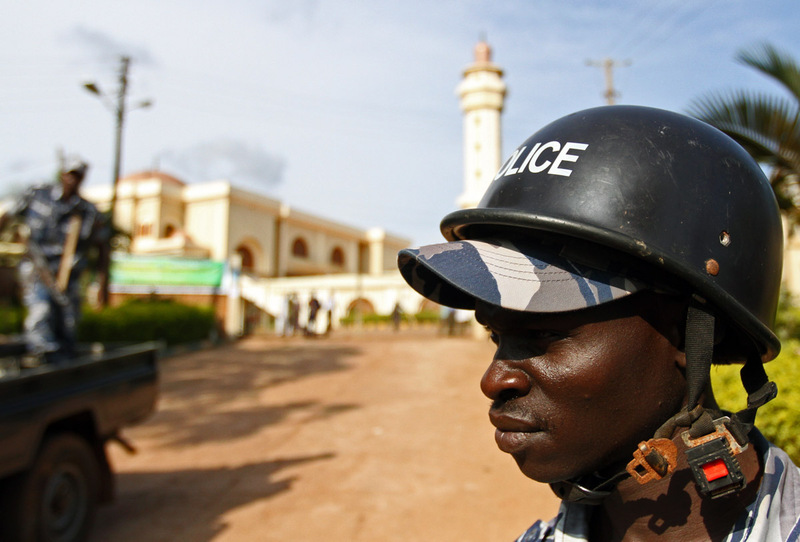 PROTECT AND SERVE: A Ugandan police officer on duty in Kampala, Uganda’s capital. The US State Department this year released a damming report in which the Police, among other security organs in Uganda were accused f massive human rights violations. The report explicitly expresses the US’ concern about increasing cases of human rights violations and limited freedoms in Uganda. Is that metallic bit rusted? Poor chaps! Exactly..I believe the below-per behavior most of the time exhibited by our police can directly be linked to the conditions under which these people operate. Its heavy my dear..But they are trained to carry them i believe! Ciao, great shot, agree with Helen (above comment), reply to Allan….he wears the baseball cap presumably to shade his eyes when doing sniper shots!!!! !